There are a few things drivers really look at every time they look at a new car and one of those aspects is fuel efficiency. It is natural to want to get the best vehicle for your money because a brand-new vehicle purchase isn’t exactly inexpensive. We are all for getting a new car to make your lives easier, but we also want to make sure that you are getting the right vehicle for your lifestyle, and for a great deal! One of the vehicles that we feel will really give drivers everything they could ever want and more from a vehicle is the 2016 Toyota RAV4 Hybrid Brampton ON. It is not available yet in Canada, but we are expecting to see this already efficient, economic vehicle hit our dealership rooms later this year. The 2016 Toyota RAV4 is expected to keep all of the features that make the RAV4 a catch, which include its superior handling, immense cargo capacity and affordable price, but it will also be much more efficient and economical, which is always a good thing our book! The 2016 RAV4 is the first-ever hybrid model to join the sporty lineup, and drivers everywhere have nothing to lose when it comes time to try it out. Not only does the 2016 Toyota RAV4 hybrid keep the handling, space and sportiness of the RAV4 but it now is much more fuel efficient with an even more efficient engine, allowing drivers to spend less time and money at the gas pump. The 2016 Toyota RAV4 hybrid was first introduced at the 2015 New York International Auto Show and doesn’t necessarily look a whole lot different than prior model years, save its more streamlined, aerodynamic front end and aggressive headlights. The 2016 RAV4 hybrid will likely come with a 2.5L engine and an on-demand all-wheel drive system. that will make more than 176 horsepower, which is what the current model makes. The improved, electronic all-wheel drive system provides great fuel economy ratings as well as power and quicker acceleration. 2016 Toyota RAV4 hybrid will be available at Attrell Toyota! 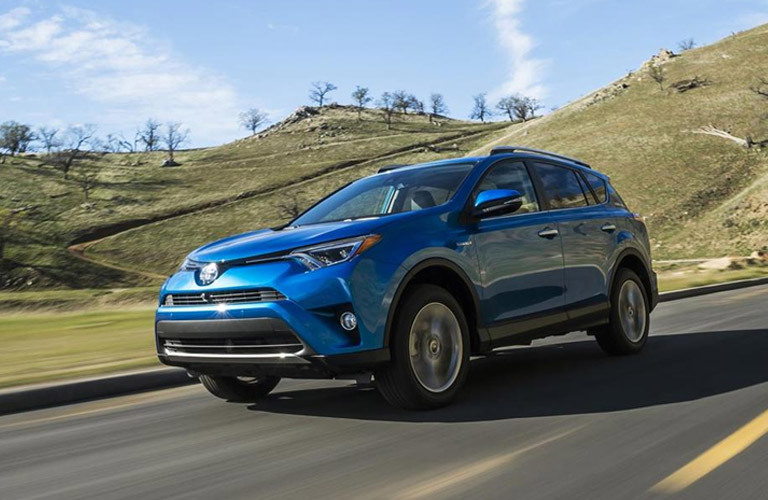 From what we know so far, the 2016 Toyota RAV4 hybrid will be one of the most efficient SUVs around, which is quite the accomplishment because there are so many different SUVs out there as they become more and more popular. The 2016 Toyota RAV4 hybrid will feature remodeled front and back ends, a new tailgate design, new lighting and 17-inch wheels. It will also include a 4.2-inch screen that will display pertinent driving information, an additional USB port in the front of the vehicle, and will also feature new cupholders that are designed to more easily hold tall mugs. One of the biggest changes between the 2016 Toyota RAV4 hybrid and prior model years, besides the hybrid engine of course, is that it will now include a new trim: the SE. The SE shows off a revised sport-tuned suspension, 18-inch wheels and even more features than previously described.